Wet hands and it’s below zero – No fun right? ….and yes, the ones that make you look like a scuba diver! Finally, could we have found the perfect gloves for window cleaners? 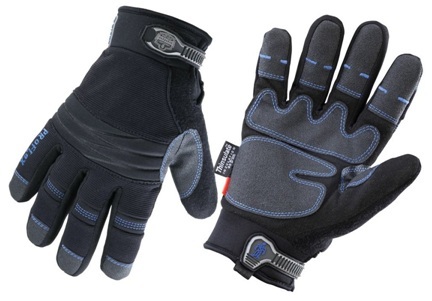 ProFlex 818OD Thermal Waterproof Gloves. Thinsulate insulation, OutDry waterproof technology, windproof, breathable and very durable. At Browns Ladders, we want to give you a quick guide to carrying out pre-use window cleaning ladder safety inspections. Hundreds of workers are killed or seriously injured ever year from falling off ladders while cleaning windows – and sometimes it’s down to a faulty ladder. That’s why you should carry out inspections every time carry out a window cleaning job. 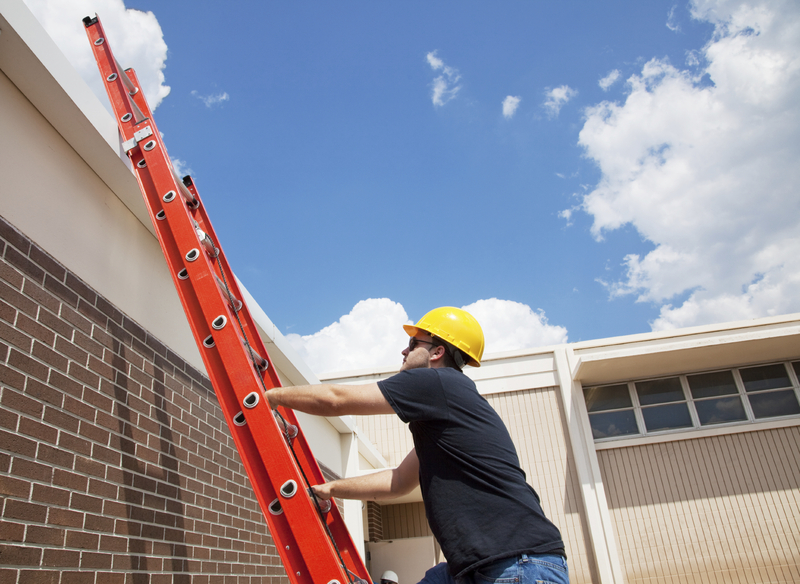 Why is it important to carry out ladder safety inspections? Since ladders are just everyday objects, it’s easy to take them for granted. But like any work equipment, people must be trained and competent in order to use them safely. It’s recommended that you have them thoroughly checked by a competent person at least every 6 months. You or your window cleaning employees must also carry out pre-use ladder safety inspections before using the equipment. Make sure the stiles are not dented, splintered or creased. Any deformed or stiles are a sign your ladder may snap or bend. Are they feet worn, damaged or missing? That’s a recipe for disaster. You need to be able to rest the feet on the surface without it wobbling. If they are bent, loose or damaged or not firmly attached, you definitely need to check them properly. Check the entire ladder/stepladder for cracks, loose rivets, and splinters, ensuring it’s on a level surface and that the steps are clean & dry – because of wear or due to spills in prior use. Don’t paint your ladders or use ones they are already painted – it covers up defects. Even if the ladder looks ok…check its load capacity before cleaning the windows – and stay well within that range. 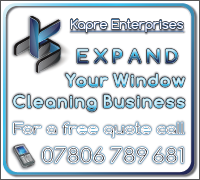 Are you an independent window cleaner? 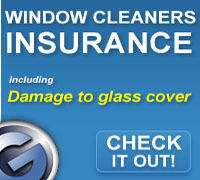 Or are you a homeowner planning to clean your windows? Well, unless you own a big business, it’s likely that you won’t be able to afford expensive access equipment – so you’ll be using a good old-fashioned ladder But wait…don’t just jump on your ladder and start cleaning – There’s a whole host of ladder safety rules to consider. Did you know that there are several falls from ladder related deaths every year as well as being a major cause of serious injuries? Don’t worry – our friends at Browns Ladders are here with some easy-to-follow rules to keep you safe while window cleaning using ladders. 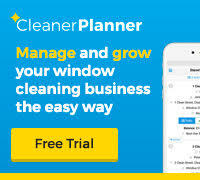 How do I write a Window Cleaning Risk Assessment? A risk assessment is an evaluation of risks and consequences involved in carrying out a certain task and what controls you will put in place to minimize the risks. You carry out a risk assessment every time you cross the road, pull out at a junction or set up your pole or ladders. Obviously to cross the road you don’t need to write a risk assessment! The situation and hence the risk assessment is dynamic and changes continuously. However, the same principle of evaluating the risks involved and coming to conclusions as to the course of action required provide the basis for creating a risk assessment. Why Carry Out a Risk Assessment? Risk assessment is not an option. It is a requirement of the management of health and safety at work regulations 1999. Serious problems can arise if an accident occurs and no risk assessment has been carried out. This is particularly true if you have employees. Many commercial customers may request that you provide a written risk assessment, but even if they don’t, it’s good commercial practice to provide one. 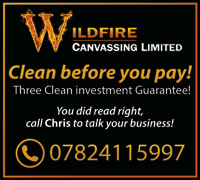 It will enhance the customers esteem for you as a professional and more than that it will protect you from and your business from criminal and civil court action. Obviously the main benefit of working in harmony with the findings of a risk assessment is that you and your employees will be safer at work. How Do I Carry Out A Risk Assessment? 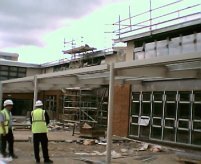 A risk assessment therefore must be specific to the site involved. It’s no good just copying one already prepared because the risks may be different. Risk assessment boils down to basic common sense. Documenting the findings of a risk assessment need not be overly complicates. The health and safety template kit shown above includes an example risk assessment and forms which make documenting a risk assessment very simple. However, if you wish to create your own, here are some guidelines as what it should include. There are 5 stages in carrying out a risk assessment. 1. Identify the hazards involved. The first step in assessing risk is obviously to identify the potential hazards. Write a list of all the potential hazards that you can think of related to each particular task. 2. Decide who is at risk and how. Next to each risk on your list, jot down who is at risk and how. eg. is it the person working or is it the general public? Why are they at particular risk? 3. Evaluate the risks and decide on what precautions are necessary. This is where you need to decide how great the risk is. If the risk is high then something should be done to minimise the risk before work continues. These preventative measures are called controls. What controls are in place to reduce the risk? Now that we have an idea of how likely an accident is as a result of the risk, we need to determine what kind of consequences would result from the potential accident. By evaluating the severity of the risk we can decide what controls, if any need to be put in place to reduce the risk to an acceptable level. 4. Record your findings and put them into practise. Your findings should now be documented and more importantly you will need to act in harmony with the findings of your risk assessment by putting the necessary controls in place. A risk assessment template showing various common hazards and risks involved with window cleaning thatyou can use to adapt to be site specific is available to download. 5. Review the risk assessment regularly and update it if necessary. Risk assessments need to be reviewed regularly. Set a date when you need to review it by. When you review the risk assessment look for changes in the working environment that affect the risk assessment. Are there new dangers? Are the ground conditions the same? Update the risk assessment accordingly. Employers have many responsibilities. These documents make fulfilling them a little easier. Includes Risk Assessment and Method Statement templates and examples as well as various policies.